It takes more than de-cluttering to make your warehouse space more efficient. A thorough inspection and installation of various steel shelving storage solutions are necessary to make best use of your warehouse space from corner to corner. Many large and successful warehouses started out as empty, unorganised edifices. Their operation only became efficient and productive when they invested in modern storage solutions. 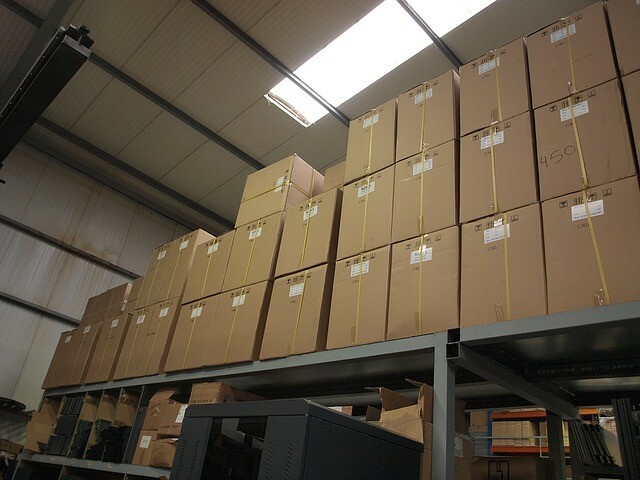 Here are some of the storage solutions that you should consider installing in your own warehouse. Arguably the most effective among today’s warehouse storage solutions, a warehouse pallet racking system is a structure designed for products stored in pallets or skids. It is made up of columns, beams, and several layers of deck of just the right size to allow for easy stashing and access of pallets. If you install a pallet racking system in your warehouse, you’ll notice that it will cover much of the floor space. With the help of a specialist, you can come up with a well-organised layout that will provide space not only for product storage but for human and vehicle activity as well. In effect, you can maximise both the horizontal and vertical space of your warehouse. Depending on your storage needs and whether or not you are planning to put up a second floor level, you can design the pallet racking system to tower up to the ceiling. In areas where a pallet racking system may seem too big to fit, a steel shelving system can be an ideal alternative. Unlike a pallet racking system, this one consists of multi-layer shelves either independent or attached to the wall or ceiling. It can be a perfect storage option for small items such as canned or bagged supplies. You can have a shelving system as a supplemental structure to your pallet racking system or to your main storage system in case your warehouse is too small or too low to accommodate the former. This isn’t exactly a storage solution but rather an intermediate floor structure, which can hold up a storage system like pallet racking or shelving system. It can even be used as the base of your office or receiving area for your clients and executives. This is particularly suitable in buildings like warehouses that have a double-height ceiling. Its deck is made of either wooden planks or steel plate, making it strong enough to carry loads as heavy as a fully-loaded pallet racking system. Complement your pallet racking and shelving system with storage bins to have a storage facility for even smaller items, such as machine parts, tools, and accessories. They make a great addition to your storage system, especially because these units are flexible and very easy to install. Of course, installing these storage solutions doesn’t come easy. It requires the expertise of a warehousing supply specialist. An expert will provide everything you need to build any of these structures in your warehouse, or even complete the installation for you. If ever you need to relocate to a new spot, they can also help you with that too, from dismantling to reassembly.